I'm back with new computer and the first thing to do was: Download AVP2. So I invite everyone to play again on a server just for the lulz and have some fun. 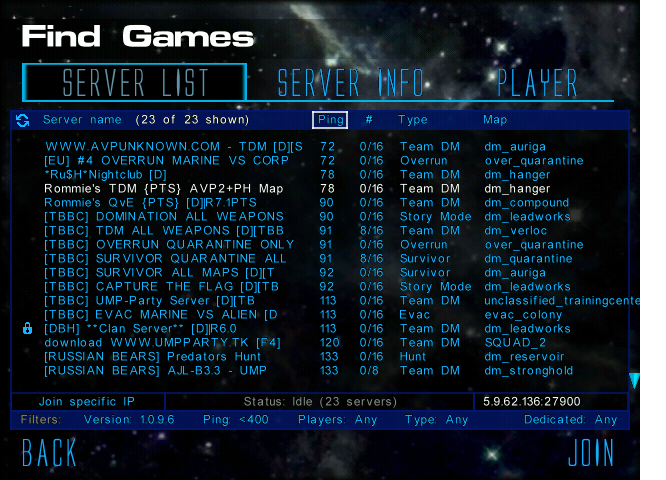 wait...therer are still servers going up? Funny fact: the first auto-ban ocurred on the exact same day this post was made. So banned on the first day! As if it wasnt enough that someone can't distiguish total ownage with sniper from hax and call me a cheater, hacked on a public server twice and used a vpn server to change his IP to try to fool both of us admins, you later tried to hack the [TBBC] website!!!!! srsly, holly sheeet!! the server log is full of it! In all my years in this game this is the first time i ever do this: register on a clan's forum to complain about one of its members. If you have the need to practice your pseudo-H4X0r skillz please go do it somewhere else, maybe you should try to hack your own forum. And please and dont bother us again. You're a no body, for one. Second, this game is entirely to old for you to take the time to complain on these forums. I barely even find the time to check this place out any more and I think I'm the only "leader" left. First of all im one of the admins of the server your pal jinzo hacked in and later on tried to hack the website. Would just like to point out bro that you're pretty much beating a dead horse. There is no Raptor clan anymore these forums are just here for people to reminisce about the good old days. What Jinzo did or didn't do and what he does on AVP2 or to your forums is no longer our problem, so get over it. You are free to go now. Trololololol I did all that stuff? I'm curious now, can you send me the IP and all the stuff? I thought this was long dead. I'm going to have to try and see if I can download it and get into a server. I miss the old days! That would be great! I still play sometimes but I'm too rusty. Need more training. I've been trying the last couple of days to download it. All of the old links are busted and when I try to download with the actual CDs, it stops at about 95%. For a while the name "JaguaR" alone was unavailable until recently and I wanted it, I dunno OCD I guess. Also, lemme know how this download works out for you. I've not very tech savvy at all :/ it downloaded just fine..but what do I do now? There should be a text file included that I made with instructions on how to install it. Try from here, it's the second link. 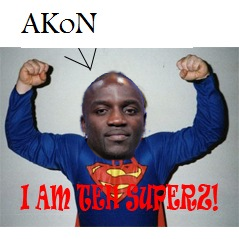 Will you play AKoN? We should play together! What is your Xfire? I will make an account and add you. Dude, no one has been using xfire since 2011, most of us are on Steam now but I don't think AKoN has steam.